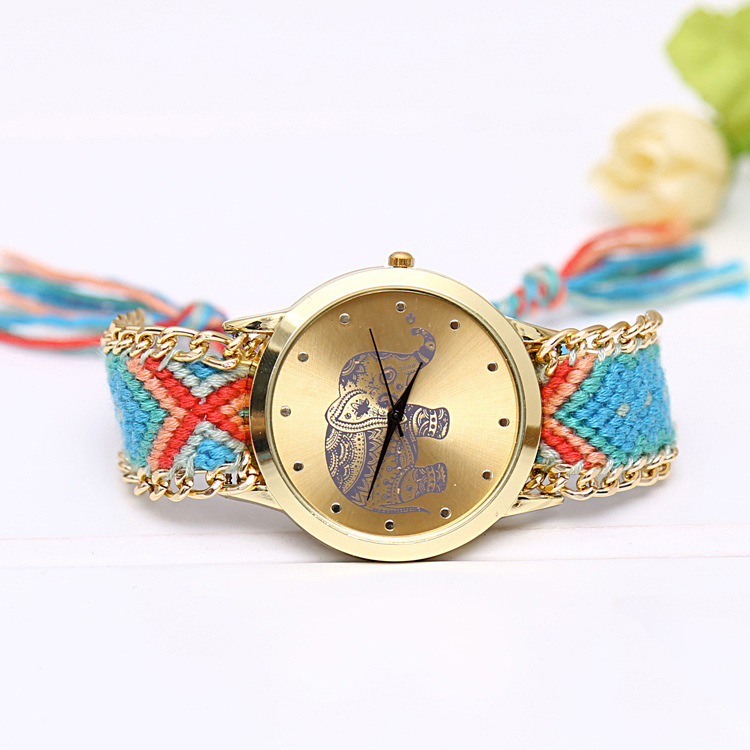 Do you have the memory that we talked about the luxury watches last week. 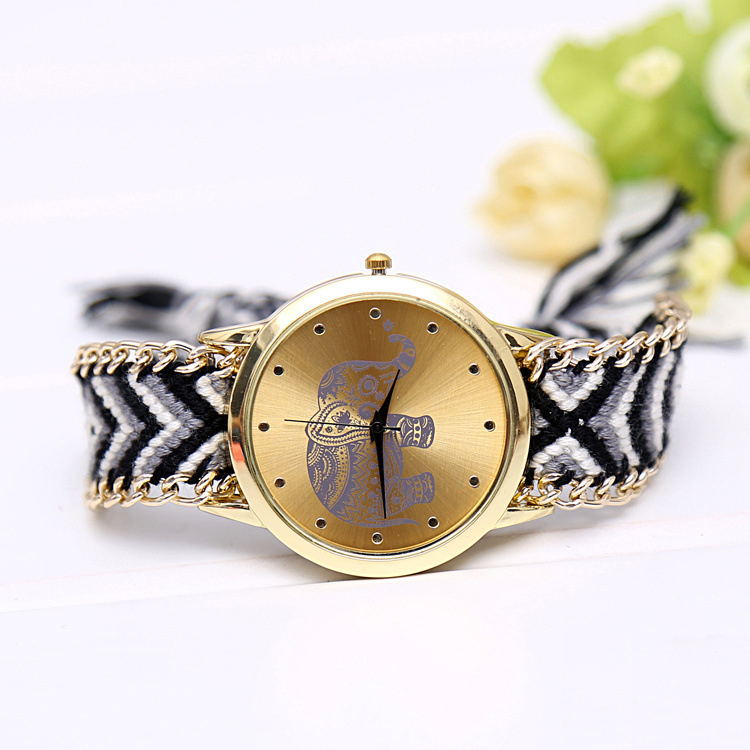 After publishing that article, some people told me that it’s no meaning to share those watches as not everyone is so rich that can buy such a luxury watch. 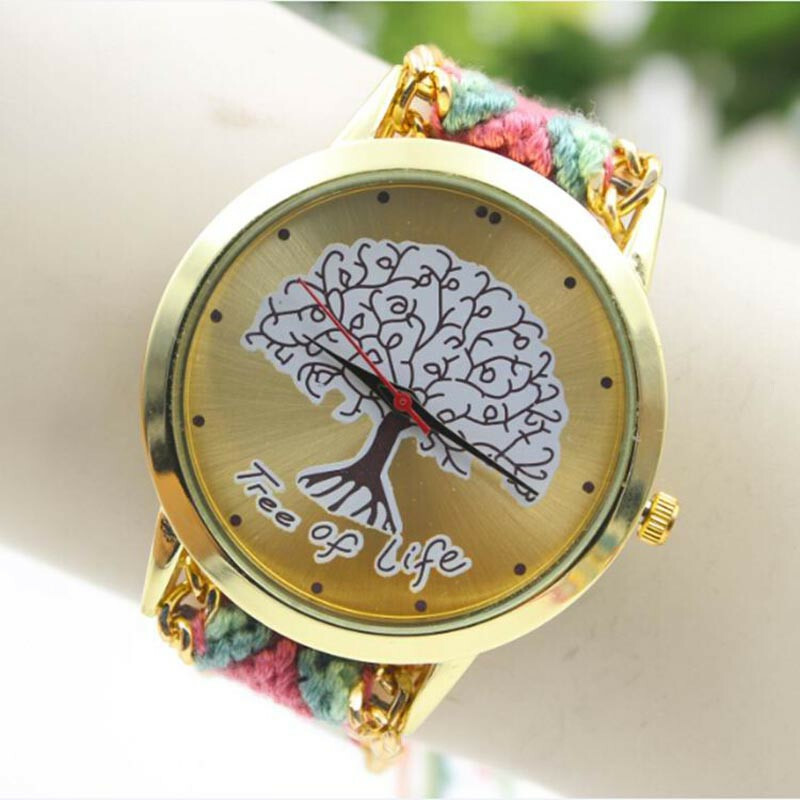 I am so sorry for that, so here I am going to share you guys some cheap mechanical wrist watch to make up you guys. 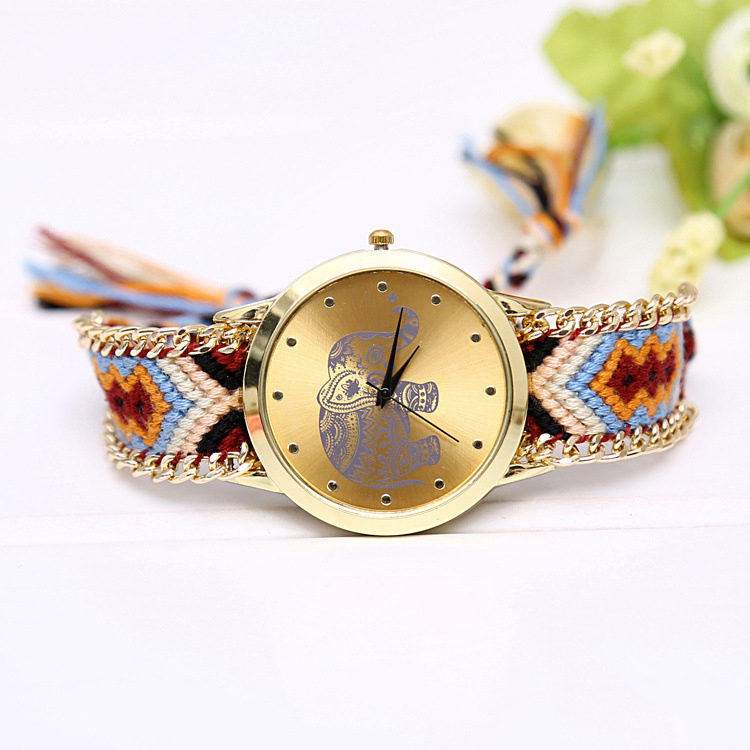 In my opinion, I still choose these colorful watches to wear because I really think that summer should be decorated by many colorful things such as clothes, jewelry, shoes and so on. Maybe you have a different idea, but it has not a bad influence on my passion, instead add my curiosity. We can share the different thought of each other which make us improve our knowledge of fashion. As I am a romantic girl, I love everything if it looks lovely and beautiful. 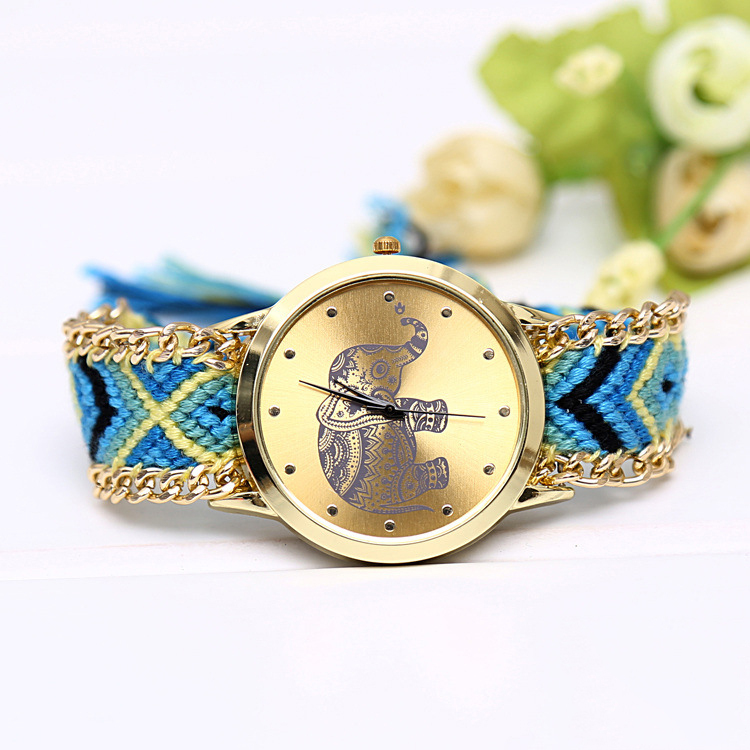 The knitted chain wrist watch is one of my favorite watches in my accessories box. 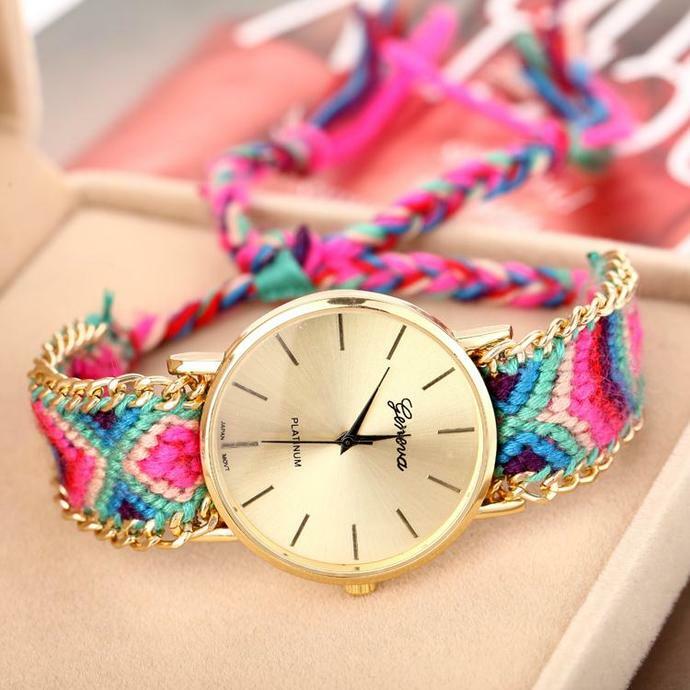 It is fashionable and lovely for girl to put on. 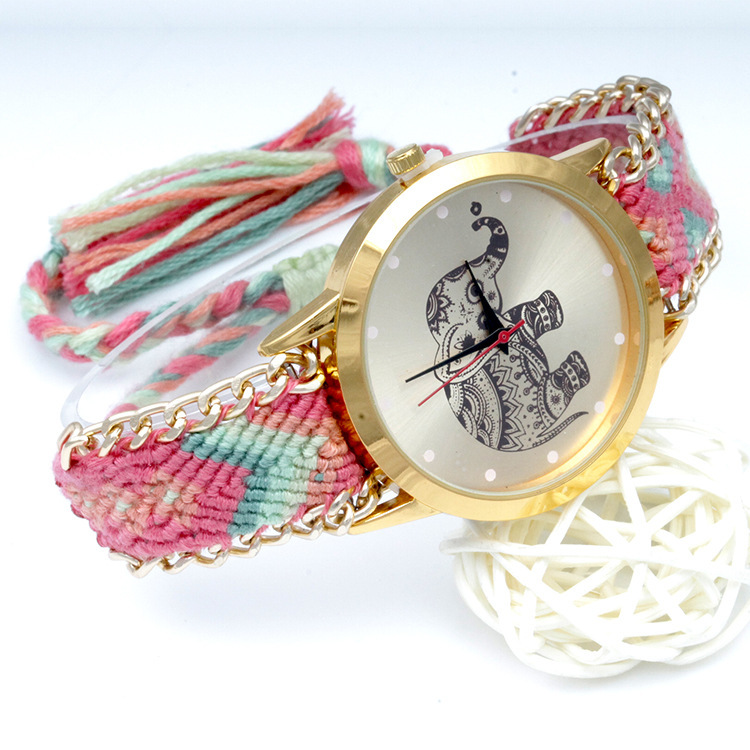 Its band is made of woven rope which is not easy to break so that we can use it for a long time. To your surprise, there are total 5 colors for you to pick up and you can choose which color you like. With regard to its repair, you needn’t pay too much attention on it because we can trust the quality of it unless the broken is made by human error. 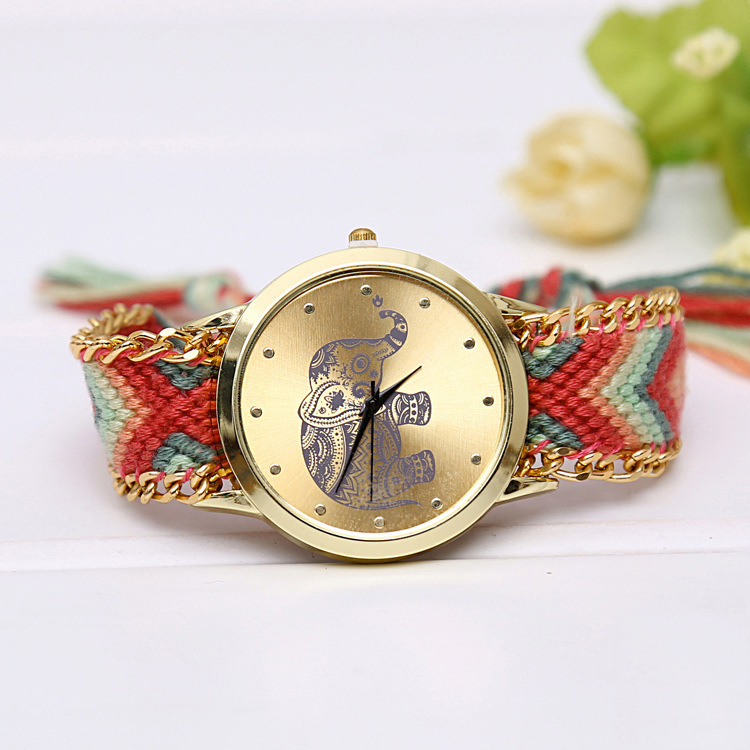 Although the quality of this watch is very good, you still have to be careful to wear it in daily life. As the saying goes, penny and penny laid up will be many. It won’t broke once doesn’t mean that it never broke. Do you think so?